Apple announced on Thursday that it has expanded its health records product to 40 health systems and 300 hospitals, and it’s opening it up to all iOS users. That’s rapid growth, but what matters the most is the mission underlying the software. And that’s the revolutionary notion of empowering patients with their own health information. APPLE wants to bring consumers’ medical information, like lab tests and immunizations, to its iPhone, and now 40 health systems have agreed to step up and help. The willingness of health care institutions to work with Apple is a big deal, given the slow pace of change in medicine relative to other sectors. But what’s more important about Apple’s moves into the space is the mission behind it. “Doctors put patients in charge,” Apple’s news release reads. 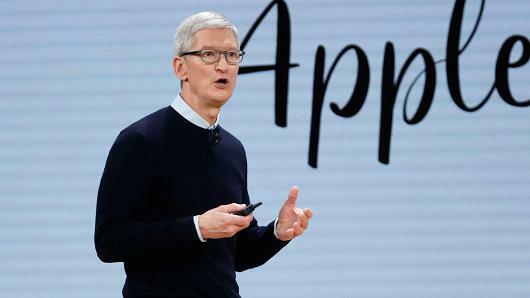 “We view the future as consumers owning their own health data,” Apple Chief Operating Officer Jeff Williams, said in a recent interview with CNBC. It might not seem like it, but that’s a truly revolutionary idea. That’s because for years, patients have been putting doctors in charge — and not the other way around. And the system has encouraged it. Not long ago — in the 1960s and 1970s — doctors routinely failed to inform patients about severe diagnoses, like late-stage cancer. Studies have shown that this practice is still pervasive today with physicians failing to tell their patients they have a neurological condition like Alzheimer’s Disease. Moreover, it is still expensive and time-consuming for patients to access their own health data. Hospitals still regularly charge people a fee for it in many states, or they’ll refuse to share it in a computer-readable format and will fax over a PDF. For some medical experts, enough is enough. “We’ve spent 20 years trying to get the language to change to reflect models that are patient-controlled,” said Kenneth Mandl, who directs the computational health informatics program at Boston Children’s Hospital. Mandl and others envision a new model for medicine where an informed patient is at the center of their own care, rather than on the sidelines. The language Apple is using around patient empowerment represents a rallying cry to the physicians, policymakers and patient advocates that have been pushing for change for decades, and warning signal to those that are protecting the status quo. Making it easier for people to access their own medical data is powerful. It means that consumers will have more freedom to pick a new doctor, and spark meaningful conversations with their doctors about their own health. A growing body of research is proving that there’s very little risk to patients accessing this information. Contrary to conventional wisdom, most patients will not freak out after reading their doctor’s notes and most can handle hearing bad news about their health. This movement towards patient empowerment is bolstered by the rise of new technologies, such as online tools for consumers to search for medical information or new apps that can diagnose disease via an image. And Apple, with its health records product, is now a major ally in this effort. For Mandl, that matters whether the company is successful or not in getting its health records product to millions of patients.